Our Pre-Budget Submission to Queen's Park - Business Directory - St. Thomas & District Chamber of Commerce - ON, ON ? 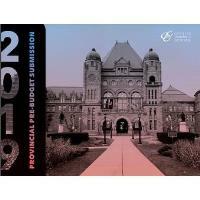 The 2019 Ontario Budget is expected to be presented in late March and, in preparation for it, the St. Thomas & District Chamber and Ontario Chamber of Commerce (OCC), and our colleagues across the entire provincial Chamber network, have provided the Government of Ontario with thirteen tangible recommendations for the upcoming provincial budget to build a stronger Ontario and create a business climate which encourages growth. The submission calls on the government to prioritize small business tax reforms, strategic infrastructure investment, and value-based procurement in Budget 2019. In an OCC survey last year, 48 percent of Ontario businesses indicated they were not confident about the province’s economic outlook and 61 percent of these cited high tax rates as a reason. As the province heads into a time of economic uncertainty coupled with the province’s staggering deficit, the submission calls on the government to focus on fiscally sustainable and long-term taxation priorities. Currently, business with an income of less than $500,000 are taxed at a flat rate. 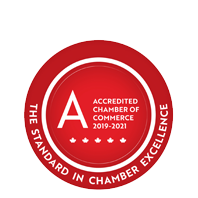 To create an environment which encourages small and medium business to successfully scale, the St. Thomas & District Chamber and the OCC recommend the government create a variable small business deduction in Budget 2019. The provincial Chamber network is also urging the government to strategically spend in key areas that will help grow the economy and have the highest return on taxpayer dollars such as expanding broadband access and strengthening critical transportation infrastructure. Removal of red tape for small and medium businesses to access procurement opportunities, leading to employment, economic growth, innovation, and cluster development is another key element of our submission to the Minister of Finance. We applaud the government’s commitment to reduce the debt and deficit as well as cut red tape by 25 percent by 2022 in the 2018 Fall Economic Statement. Yet, more work must be done to build a stronger Ontario and create an environment which encourages growth. We look forward to working with the government to support evidence-based policies that drive growth and contribute to a stronger province for all. Our pre-budget recommendations stem directly from the Ontario Chamber Network’s policy resolutions presented at the OCC’s Annual General Meeting. Read the full pre-budget submission here.